In 1982, Thomas Dolby was an MTV staple with his hit, “She Blinded Me With Science” (science!). The theme is an apt description of his interests then, and now. Born Thomas Robertson, he got the “Dolby” nickname because of his geeking out over keyboards and tape reels. In addition to “…Science,” he had more New Wave hits like “Hyperactive” and “Europa and the Pirate Twins,” and played as a session musician/producer for artists as diverse as George Clinton, Joni Mitchell and Def Leppard. But despite his musical projects, technology has played a bigger role in Dolby’s creative pursuits. In 1993, he formed a Silicon Valley company called Headspace (later renamed Beatnik), which developed the downloadable file format known as Rich Music Format (RMF). Later, he created the software driving today’s cellphone ringtones (and even created a few hundred himself). Dolby frequently speaks at tech events, and was the musical director for the TED Conference (where he often performs with a pretty eclectic “house band”). He’s also been a speaker. In 2014, Johns Hopkins University named him a Professor of Arts, where he’s helping develop an incubator for tech and the arts in a troubled Baltimore neighborhood. He’s also been teaching a workshop in music production to some local 7th and 8th graders. He and his wife, actress Kathleen Beller (Dynasty) are happy empty-nesters to three college-age kids. As to his own music, Dolby is more interested in scoring films than in creating another pop record. 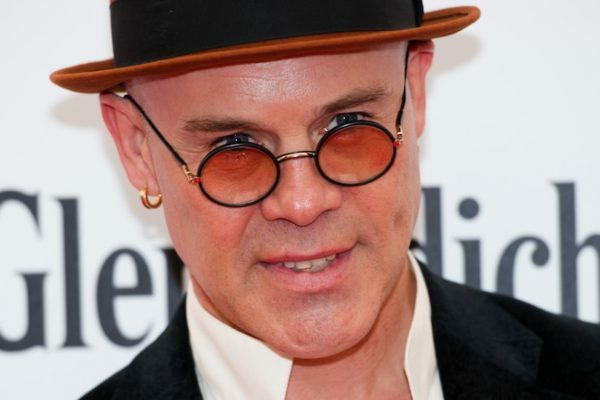 But considering his passion for contributing to the ongoing evolution of music and technology, Thomas Dolby will be heard from for years to come. PS. While we’re on the subject of musicians who’ve made a big impact behind the scenes, you might enjoy our post These Guys Were REALLY Behind the Music. And we catch you up on other big names from the ’80s in our posts He Came, He Sang, He Left, He Returned: Whatever Happened to Paul Young? and The Adele of the ’80s. 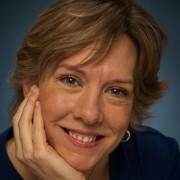 Cindy Grogan is a longtime freelance writer, having worked in a ton of different industries, writing a ton of different things. Her background in radio is a natural fit for her love of music – anything from the Beatles to Hank Williams, Sr. to Prokofiev. A rabid consumer of pop culture and politics, Cindy finds the smartass tendencies that once got her grounded now serve her well in Facebook arguments. Oh, and she also loves cats.